Description: this property is full of potential for the perfect and industrious investor! plus the potential of a beautiful modern, multi-level home with mountain top views and city lights. close to pasadena/so. pasadena alhambra, downtown los angeles. this is a must see. Listed By: Priscilla Gonzales of Las Casas Realty, Inc. Description: property is inside a gated compound with 7 other homes in 3.5 acres of greenery. the property is individually parceled. once you enter this green oasis you feel like you are away from it all. property has trails and walkways with easements through out. property is charming and private. Listed By: Hugo Izquierdo of Real Estate Ebroker Inc. 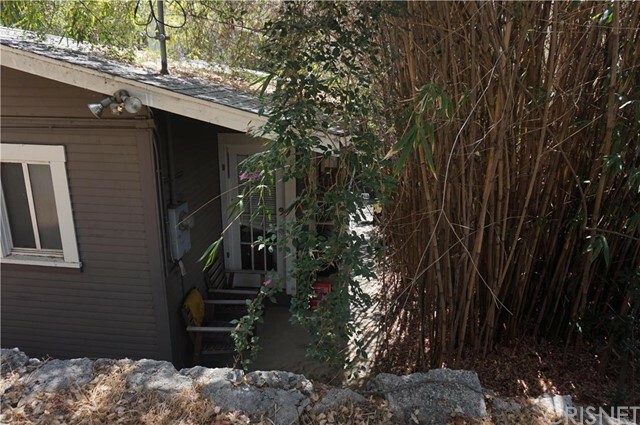 Description: fabulous fixer opportunity with charming curb appeal in the hot & popular el sereno area - on one the most sought after streets in the neighborhood. add on and/or fix up! perfectly situated between s pasadena & dtla, this 2 bedroom, 1 bath traditional has 1,014 sf of living space, a large 7,500 sf lot, & many possibilities. featuring hardwood flooring, smooth ceilings, recessed lighting, crown moldings, a full hall bath, & nice living room overlooking the dining area & bright kitchen w/breakfast bar. large master has dressing area, two walk-in closets & a door leading to a rear deck. 2nd bedroom is currently used as den, but super easy to add back wall & door to be a bedroom. rear grounds have large flat pad on upper level & a 2 car detached garage w/ a large storage room, perfect for a bonus area or possible adu unit (check w/city to verify). easy access to freeways, dining, transportation, parks, elephant hill nature preserve w/hiking paths and trails, usc med center, and csula. Listed By: David Rothblum of Re/max Olson & Assoc.